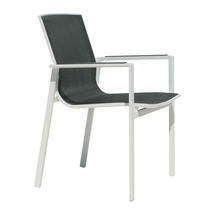 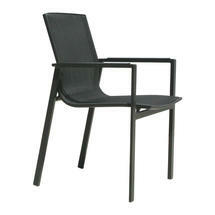 Easy, lightweight outdoor dining chair. 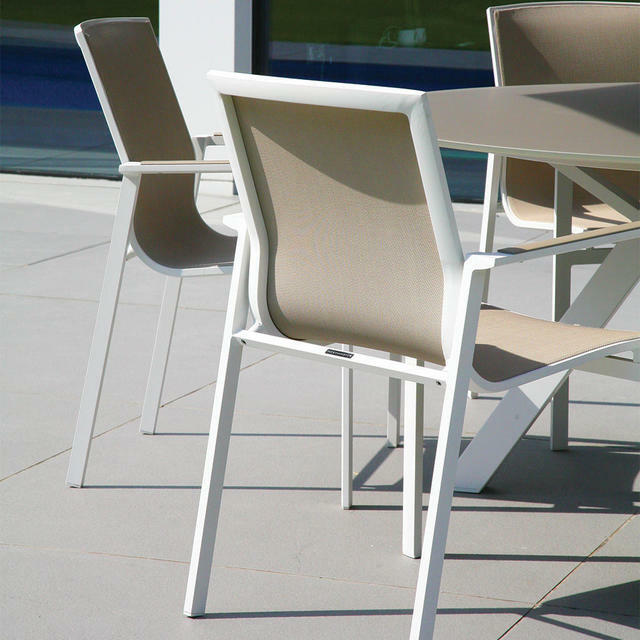 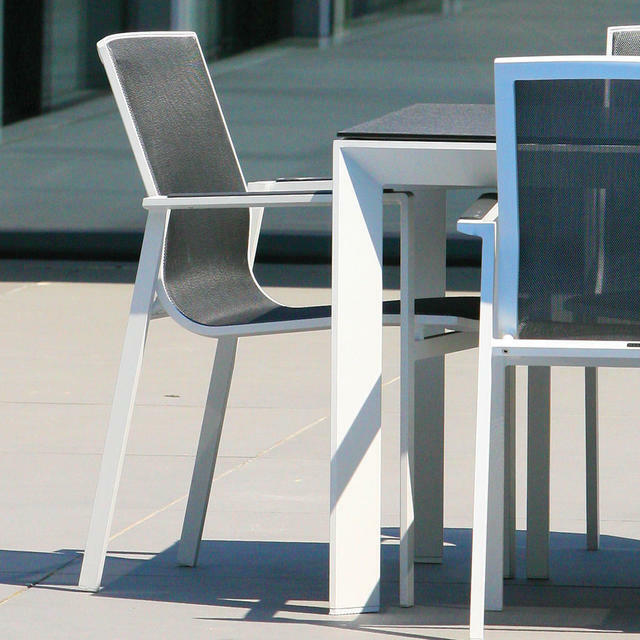 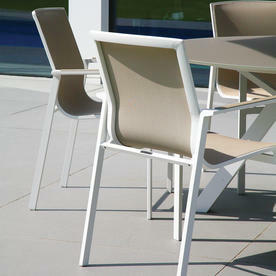 Part of the Madison collection by Westminster, these chairs are comfortable for easy alfresco dining. 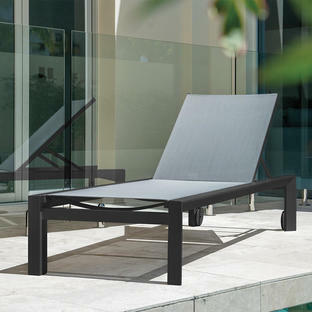 The chair frame is made from powder-coated aluminium with an all weather sling seat and back. 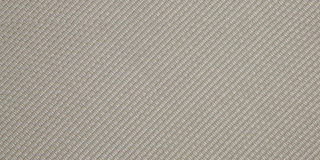 Choose tables from the Madison collection to accompany the chair. 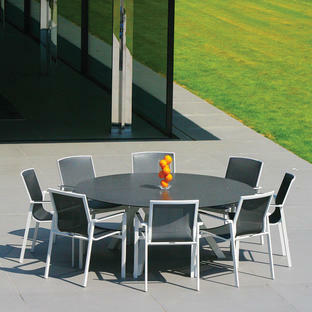 There are square, rectangular, round and extending dining tables available in this collection.